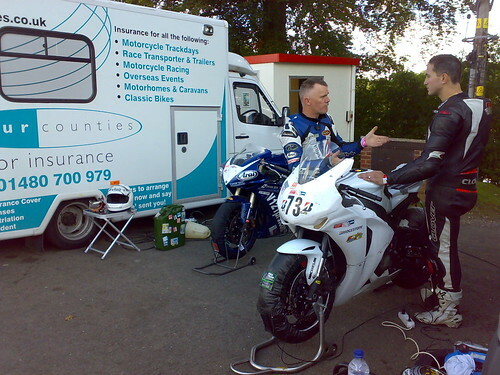 weather this year and considering it's nearly November me and my coaching client are not having such a bad outing at Cadwell today. 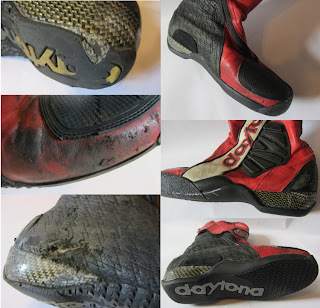 I personally wouldn't wear anything else - but I do give them quite a hard time, with me riding many thousands of 'on track' miles each season when coaching and racing. In fact, on a coaching day I put my Daytonas on about 8am and they're then on for the rest of the day until 5:30pm! 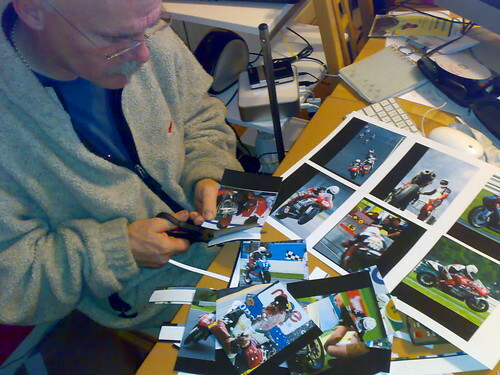 I recently sent a pair back to the factory for repairs rather than ask for a new pair of 'outers' - when they returned, I couldn't believe what a fantastic job Helmut had done with all the repairs. The album is on my Racing FB page, so you don't have to be a 'friend' to be able to click the 'like' button to choose the photos you like best. of some of the most popular photos to see how they'll work on the calendar page layouts. If you haven't voted on your favourites yet please get on and choose as will make the final decisions tomorrow. at Stafford show. 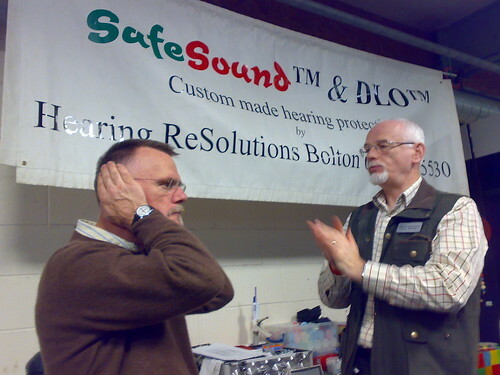 Getting some new ear plugs done. when we arrived at Donington in the dark this morning. But the wind's dried the majority of the track and the sun is out so it might turn out nice for today's coaching client. at Oulton Park today for my '1 2 1' coaching client. Must be Jim Stock sorting out the sunshine for everyone on the parade laps in his honour at lunchtime. 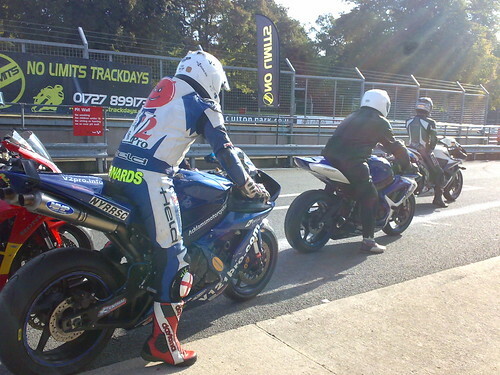 for my coaching client here at Cadwell Park today. 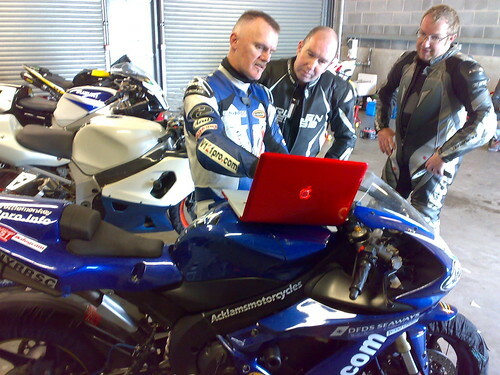 be Summer here at Donington Park; warm and dry for today's coaching client.